The new Toyota Corolla was built for efficiency and comfort. The powerful engine and plenty of upgraded interior technology help the Corolla give Cartersville drivers the ride they’re looking for. Inside you can find the Entune™️ Audio Plus system, integrated Bluetooth® technology, a convenient backup camera, voice recognition, and much more to ensure you stay connected, entertained, and safe. Don’t just take our word for it. Come to Riverside Toyota and take the new Corolla for a test drive around Rome to experience this tech for yourself today. Drive with peace of mind that you and your passengers will be protected no matter where you go. And if you feel like you need more, you can upgrade for more safety features. Take a look into the many advantages of the Corolla when you visit our dealership. Learn more about the 2020 Corolla safety features today. Is the Toyota Corolla the vehicle for you? Make the trip to Riverside Toyota near Calhoun to get behind the wheel of the Corolla and test out the innovative technology and comfort features for yourself. Also, compare the Corolla to other models, like the 2019 Hyundai Elantra, to ensure it’s the right one for you. 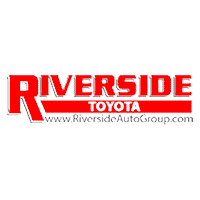 Learn more when you come to Riverside Toyota. Aside from getting you into the new Toyota you’re looking for, we can help you keep up with the Toyota maintenance schedule, help you save on parts and services at our service department, and more! Contact us today to get the car-buying process started today.